VNA & Hospice service program goal is to have people that we serve have the best quality of life for as long as possible. The goal is the same for any of us to have THE BEST QUALITY OF LIFE and especially for those dealing with serious illness whether advance stages of heart failure, COPD, dementia or cancer diagnosis. 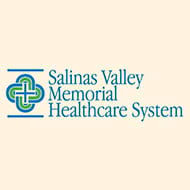 VNA brings to you care in the home through our palliative and hospice care teams. Learn more and we cordially invite you to Book Release and Presentation by Steven Z. Pantilat, MD. This program is geared towards the general community audience as well as medical professionals. 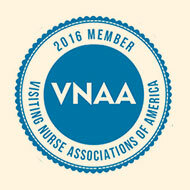 VNA will be offering 1 continuing educational unit for nursing only. 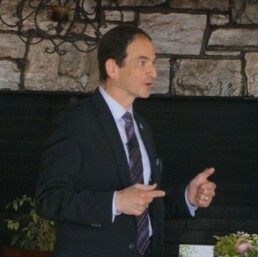 Dr. Steven Z. Pantilat, a renowned international expert in hospice and palliative care, shares innovative approaches for dealing with serious illness, outlines the steps that patients should take during their illnesses, and demystifies the medical system to ease readers’ ability to navigate it to their benefit. Life after the Diagnosis is a compassionate and sensitive guide for those who don’t know where to start at a difficult time. He makes sense of what doctors may say, what they actually mean, and how to get the best information to help each person make the best medical decisions. Life after the Diagnosis will help patients choose treatments that help more than they hurt and stay consistent with their values and personal goals.